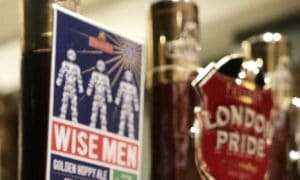 Fuller, Smith & Turner has joined forces with Prostate Cancer UK for the third consecutive festive season to brew the hugely popular Wise Men – a beer designed specifically to raise money for, and awareness of, prostate cancer. 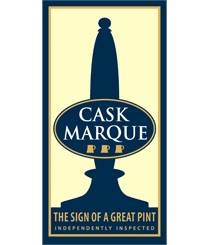 The cask ale was officially launched today and will be available during December in Fuller’s managed and tenanted pubs and independent free trade outlets. Wise Men is a 4.0% golden ale, with piney, tropical and citrus notes and hints of lemon and coriander on the palate. It is brewed with Saaz, Chinook and Bravo hops and then dry hopped with Sorachi Ace and UK hop, Jester. The beer is available on cask only. Fuller’s will be donating 50p for every pint sold in its 198 managed pubs and £10 for every firkin sold to its tenants and free trade customers. The money raised will be used by Prostate Cancer UK to help fund research into the diagnosis, treatment and prevention of prostate cancer, as well as supporting men and their families who are affected by the disease. James Beeby, Director of Fundraising at Prostate Cancer UK said: “After two successful years, we are incredibly grateful to Fuller’s as Wise Men beer returns for a third time in 2018. We stand together with Fuller’s in our quest to change the game for men and their families and this gives us an opportunity to reach customers in their local pub and encourage them to talk about their health this Christmas. Prostate cancer is the most commonly diagnosed cancer in men, with over 400,000 living with and after the disease in the UK. Often prostate cancer doesn’t have any symptoms, and so it is important a man is aware of his risk of the disease. Men over the age of 50, men who have a family history of the disease and black men, are at a greater risk. Anyone with concerns about their risk of prostate cancer should discuss them with their GP. To find a Fuller’s pub selling Wise Men, click here: Find a Fuller’s Managed Pub.